Sharing some information we have been given from the Luton Parent Carer Forum that might be of interest to some of you. 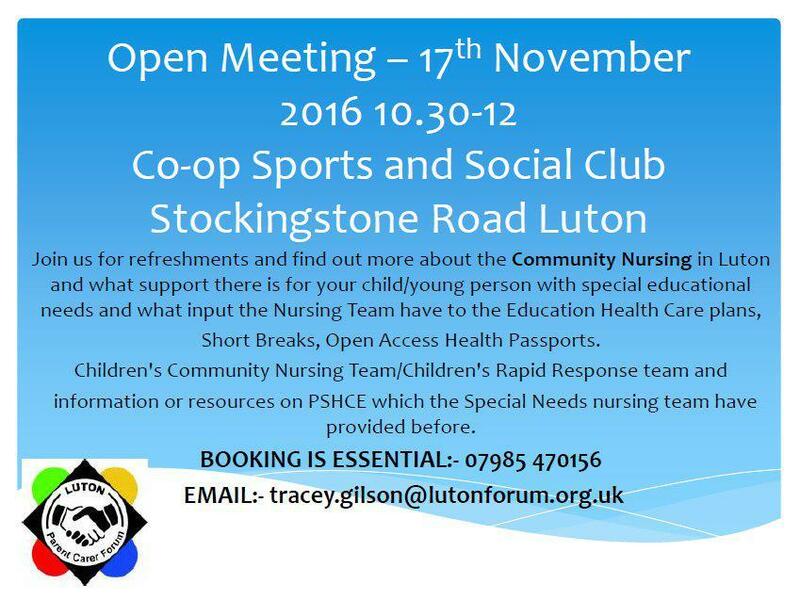 On the 17th Nov 10.30-12 at the Co-op Stockingstone Road, Luton - There will be a Community Nursing presentation, which will address support and different aspects of the service available to your child. Ring to find out more 07985 470156 or to book a place.